This project involved two design and build sites which were awarded to ESL through competitive tender. 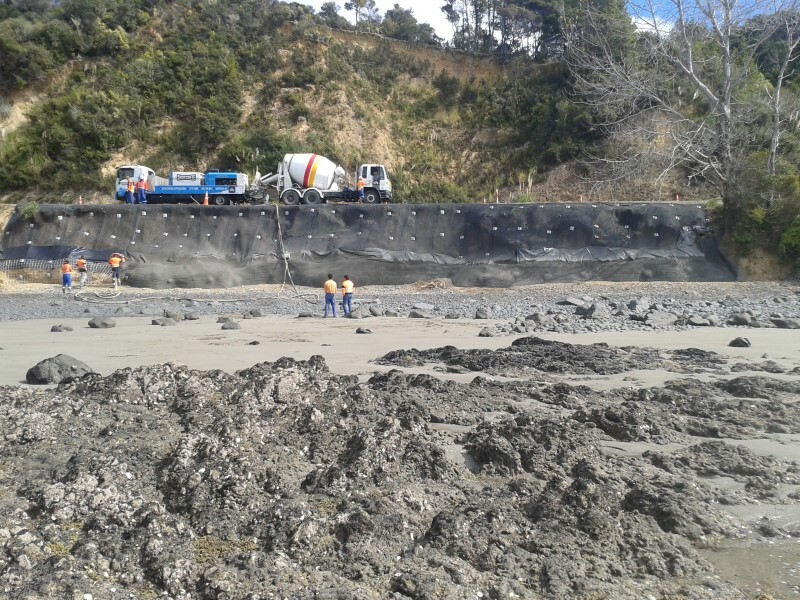 Both sites involved the drilling and installation of over 280 x 4m long rock bolts followed by the installation of over 1000m2 of draped rockfall mesh. Both sites involved working at height via rope access over live lanes of traffic. Earth Stability is a highly skilled and experienced specialist provider of rope access work. 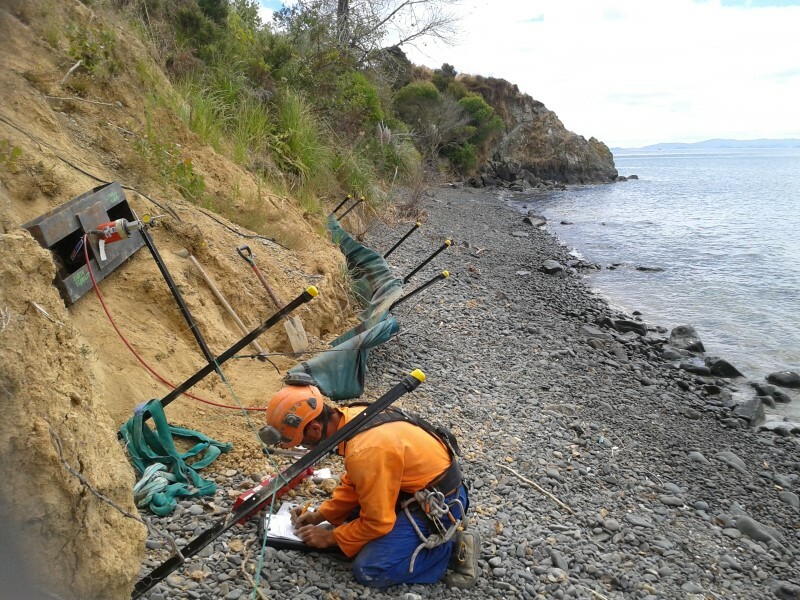 We are strongly focused on health and safety and we are the holder of three Civil Contractors New Zealand awards for health and safety which specifically recognised the operation of our strong health and safety policies and well managed sites. These factors, together with our innovative construction planning and sequencing and thorough methodology, enabled Earth Stability to expertly complete this work on time and to budget. Earth Stability was awarded the '2013 AB Equipment Safety Award Category A' for its work on this project.